Akhmat (L) and Ramzan Kadyrov. It has been over 7 years since the end of the conflict in Russia’s Caucasus republic of Chechnya. An RBTH correspondent finds out what life is like in the region and whether it is now safe for tourists to go there. The two Chechen wars left large scars on Grozny. In 2003 the UN Commission came to Grozny and, if we are to believe the local news, it declared Chechnya’s capital the world’s most devastated city since the Second World War. 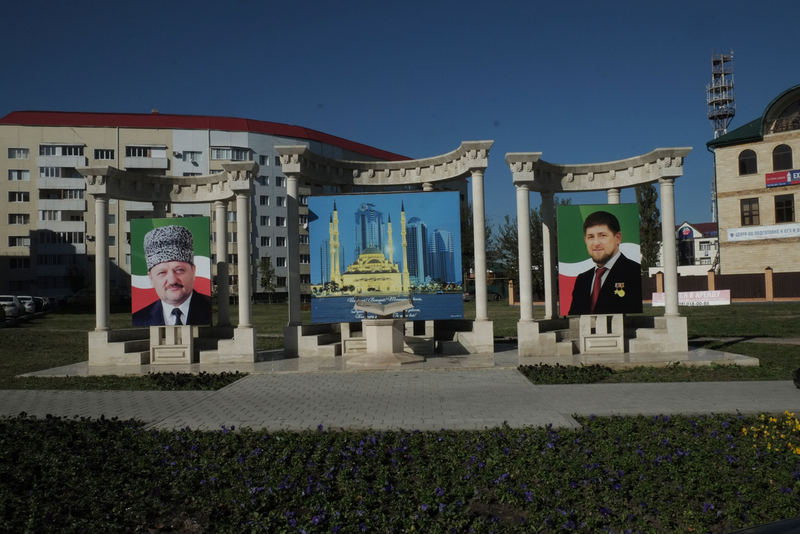 Around this time a federal program to restore the social and economic life of the region had begun to take action, and according to the RBC news publication, the total amount of financial and material aid that Chechnya has received during the time that Ramzan Kadyrov has been Chechen president amounts to roughly 539 billion rubles (c. 8.5 billion dollars). During this time Grozny has been rebuilt from scratch. Hardly any destroyed buildings now remain there, and straightaway a visitor can see the neon highlights of skyscrapers in the center of the city. The five-star hotel Grozny City is situated in one of these, and there is a wonderful view of the entire city from the restaurant on the top floor of the building. According to official statistics, Chechnya has been considered one of the safest parts of Russia for the past five years, though this only takes into account the crime rate. By these indicators the Prosecutor General’s official website has declared it number 79 out of 85 regions of Russia. The only places with less crime in Russia are Chukotka, the Jewish Autonomous Area, and the Magadan Region in the country’s Far East, Kalmykia (a Buddhist republic in European Russia), the Caucasus republic of Ingushetia, and the Nenets Autonomous Area in the far north of Siberia. However the threat of terrorism is extremely high and Chechnya remains one of the most troublesome regions; according to the same legal portal of the Prosecutor General from 2015, only the neighboring Republic of Dagestan is more dangerous. Even though the counter-terrorism operation was concluded in the republic in 2009, according to local tourism operators it is still in operation in some mountainous regions. Mountains are Chechnya’s national domain. On specially designed tourist routes through the Argun gorge visitors can get to know the ancient culture of the Chechen people, see battle towers built at the end of the 10th century, and drive up to sulphur springs. Another route goes to the ancient Kezanoi-Am Lake (which in Chechen means “azure”) on the Dagestani border, where the Soviet national rowing team used to train. The valley is used as a recreation area and has a cable car. On the way to the lake it is hard not to notice the checkpoints with armed police standing at them. The tourist bus stops at each one of these, because tourists from Russia must have their passports with them at all times. Foreigners have it even harder. “In order to visit the mountain regions, they have to ask for permission two months earlier,” says Zareta Zulayeva, who works for Chechnya’s first tour operator, Visit Chechnya. “We then send them forms to fill out and send to the FSB [Russia’s security and intelligence agency].” If foreigners do not plan to leave Grozny, then they do not have to fill out any forms. “Chechen dirt is like a Chechen man – it will stick to you and won’t peel off!” jokes a bus driver as tourists try to clean their boots after a stop to see a viewing platform in the mountains. It is worth being prepared more for the clay and for the attention of the mountaineers, although the guide takes care of the group’s safety and is ready to answer questions about the local mentality. For example, why are there portraits of Akhmat Kadyrov, Chechnya’s first president, and Russian President Vladimir Putin everywhere? And why are there quotes by Kadyrov Snr. about peace and justice adorning the local airport building, placards along the highways, on administrative and residential buildings in Grozny, on pedestals in the mountains and on entrances to villages? “Respect for elders is an important part of Chechen life, and a portrait of Kadyrov Snr. is a sign that we respect him,” explains the guide. Experts look for an explanation for this phenomenon in Chechen’s recent history. “Chechen society was always egalitarian, and they were proud of the fact that nobody could become a single leader. Kadyrov Snr. and Jr. have however built a vertical system of power, based on the cult of the leader, and this system has a particular effectiveness,” says Sergei Markedonov, an expert on the Caucasus and associate professor of foreign regional studies and foreign policy at the Russian State University for the Humanities in Moscow.